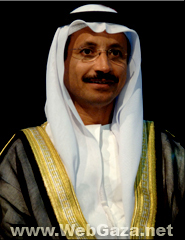 Sultan Ahmed Bin Sulayem - Who is Sultan Ahmed Bin Sulayem? Sultan Ahmed bin Sulayem was educated at Temple University in Pennsylvania, and has been described as one of the key individuals who manoeuvered Dubai away from a country that had merely struck oil in the 1970s to a shipping, property and tourist nation. Who is Sultan Bin Sulayem? Sultan Ahmed Bin Sulayem is recognised as one of the leading businessmen in Dubai. As executive chairman of Dubai’s Ports, Customs & Free Zone Corporation (PCFZ); chairman of Tejari.com, a B2B marketplace; and chairman of the recently established property development company Nakheel, he is somewhat occupied one could say. Dubai’s PCFZ Corporation has been under Sultan Bin Sulayem’s astute management since 2001, and in this time he has streamlined operations and administration to a level achieving record success. Dubai Customs was merged with Jebel Ali Free Zone and the Dubai Ports Authority in 2001 to become the billion-dollar organisation it is today. Prior to taking up his role as chief of PCFZ Corporation Sultan Bin Sulayem was chairman of Jebel Ali Free Zone from its inception in 1985. His achievements in this role included expanding the Free Zone to include a remarkable 2200 companies from over 100 countries. When the Dubai Ports Authority (DPA) was created in 1991, Sultan Bin Sulayem was appointed chairman and managing director. By the end of 2001, DPA had achieved a record throughput of over 3.5 million TEUs. Sultan Bin Sulayem’s unparalleled experience in logistics and transport has allowed PCFZ to respond swiftly to the needs of its customers and help secure Dubai’s position as the commercial hub of the region. In addition, the Dubai Ports and Jebel Ali Free Zone plans to recreate their port and free zone administrative success in other countries guided by Sultan Bin Sulayem’s leadership and strategic vision. Leveraging his innovative management skills, Sultan Bin Sulayem has also gained the role of chairman of Tejari.com, an on-line B2B marketplace enabling buyers and sellers to transact and share information about a variety of goods and services. What’s more, Sultan Bin Sulayem is chairman of Nakheel, a real estate and tourism property development firm responsible for the creation of The Palm, the world’s two largest man-made islands, constructed in the Arabian Gulf off the coast of Dubai. Heralded as “the eighth wonder of the world,” this $3bn-plus development has been a tremendous success, selling out initial release residential properties within days. Within the Nakheel portfolio, he is also responsible for The Gardens and Jumeirah Islands residential projects, The Gardens Shopping Mall, Chinatown, Jumeirah Lake Towers and the recently launched mammoth offshore project consisting of 200 islands strategically positioned to form the world map called The World. Sultan Bin Sulayem is also chairman (UAE) of The Chartered Institute of Logistics & Transport, Member for the World Export Processing Zones Association (WEPZA) and Associated Member of the French Business Council. Chairman of Jebel Ali Properties. When not working he is passionate about the outdoors and his interests include endurance racing and deep-sea diving.